In 1782, William Crawford led a combined force of Virginians and Pennsylvanians in an attack on Seneca and Delaware tribespeople along the Sandusky River. David Williamson and a number of the men who had participated in the massacre of Delaware people at Gnadenhutten were among his troops. Crawford and his men fought the American Indians and their British allies at the Battle of the Sandusky on June 4–5, 1782. The U.S. forces lost approximately fifty men, including Colonel Crawford, who was taken prisoner after the battle. The following day, at the Battle of the Olentangy, the U.S. forces were divided, and the American Indians succeeded in driving U.S. forces from the area. In revenge for the Gnadenhutten Massacre, the American Indians tortured Crawford before burning him at the stake. 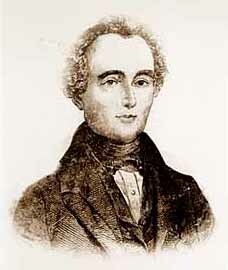 Another prisoner, Dr. John Knight, managed to escape and spread the news of Crawford's death. According to Knight's account, Simon Girty had watched the torture. Girty refused to give in to Crawford's pleas to shoot him, knowing it might mean his own death if he did. David Williamson was not captured and returned to Pennsylvania unharmed.